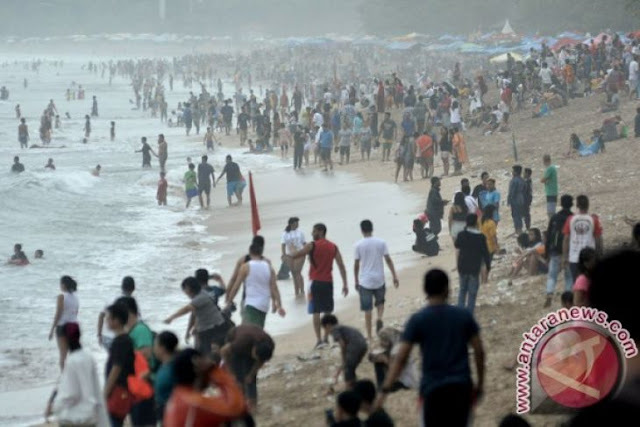 The provincial administration of Bali has set target for the number of foreign tourist arrivals at 6.5 million in 2018. Head of the Bali Tourism Office Anak Agung Yuniartha Putra, said the target is 1 million higher than 2017`s target of 5.5 million. "Normally we set an increase of 500,000 every year, but this time we are confident the increase is higher," Yuniartha said here on Tuesday. There is a number of factors supporting the target such as the International Monetary-World Bank meeting to be held in Nusa Dua in October this year. "The IMF-World Bank annual meeting has been confirmed to be held in Bali by Coordinating Minister for Maritime Affairs Luhut Binsar Pandjaitan. The meeting will have positive impact on the number of visits of by foreign tourists," Yuniartha said. Chinese visitors will continue to lead in number especially with the lifting of the travel warning issued after the eruptions of Mount Agung that discourage visitors to the tourist island. The second largest in number are expected to come from Australia, followed by India, Japan and Britain. "In 2017, we estimated the number of foreign visits to Bali reached 5.7 million exceeding the target of 5.5 million," Yuniartha said. Based on data from the Central Bureau of Statistics, the number of foreign tourists` visits to Bali reached 5.38 million in the first 11 months of 2017, up from 4.49 million in the same period in 2016. Five largest countries of origin in number of tourists are China (1,374,320), Australia (1,015,752), India (243,638), Japan (237,694) and Britain (228,657).